The first available records originate from the 1880s when we learn that an organ was bought and that there was an organist and a choir. 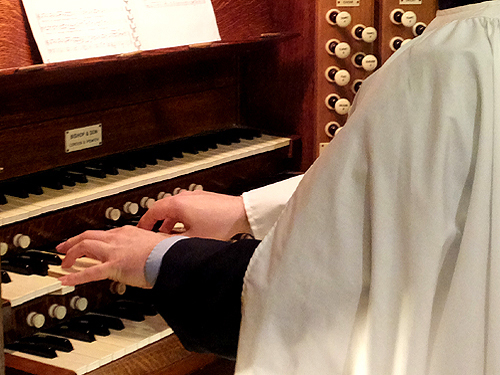 Over the years there have been many changes and developments in church music and how it has been delivered. Apparently in 1886 the organist was earning £30 and the organ blower £4 15s 6d. 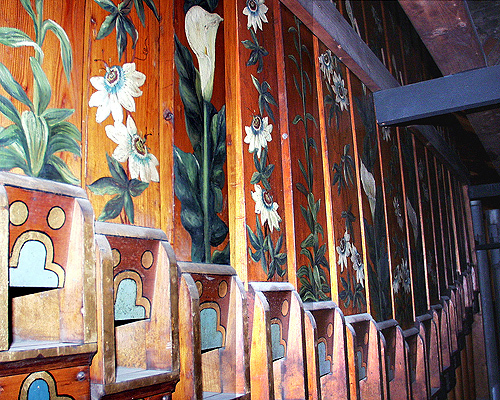 The first organists remained in their posts for many years and new ones were chosen from many applicants, unlike what happens today. Have a look at Organists/choirmasters through the years which shows what happened from when records began up until 2017. The organ, originally built by Bishop for St Peter’s, Eaton Square in the 1830s, was bought for £150 by Revd Fitz Wygram in 1874. Have a look at The organ through the years which shows what happened from when records began up until 2017. Bernie Whitmill started major work to renovate and improve the church’s organ in January 2017 and this work continued for two years. Have a look at the photo album. The choir expenses in 1886 were £14 13s. The summer of 1886 saw the first choir treat for the men, an excursion to Portsmouth. "This was to show the parish’s appreciation of all the voluntary work that they did in uplifting the services." Have a look at St James's choir through the years which shows what happened from when records began up until 2017. 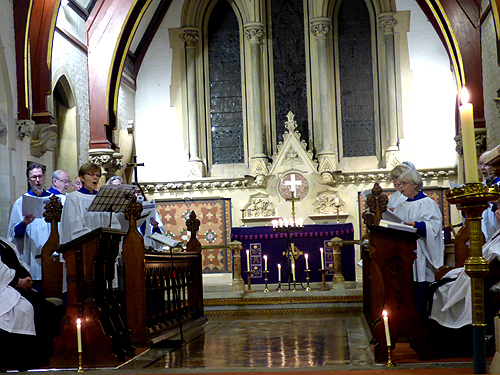 The parish communion services and special services continued to be accompanied by the organ with the choir singing regularly once a month and also at various special services. St James's Players started life as the 'Travellers’, a group of about half a dozen adult musicians and singers, in 1987. It accompanied the Sunday evening 'Prayer ‘n Praise' services and later started to accompany the All Age Service on the first Sunday of the month. Have a look at St James's Players through the years which shows what happened from when records began up until 2017. When the new ‘Together at Eleven' service, created to meet especially the needs of families, was started in 2017, the more modern songs were accompanied by music through the new sound system. At the same time there were fewer All Age services but they were still accompanied by the Players. Recitals and concerts have been held in the church, probably since Revd Fitz Wygram was vicar, performed by young and old alike. 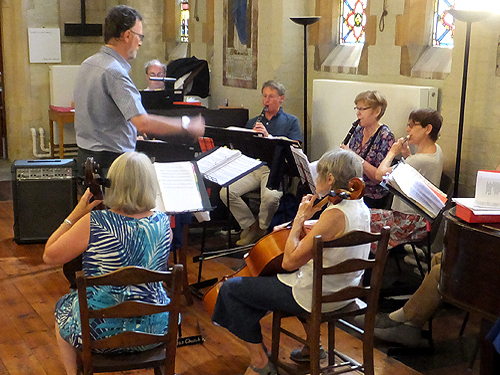 Concerts and recitals have been, and still are, performed in the church by many different local community groups. Also, over the years, St James's own musicians have put on recitals for various charities and for their own pleasure. Have a look at Concerts & recitals through the years which shows what happened from when records began up until 2017.